A flavor of mainly watered down vinegar with a little spice leaves Cooper's struggling for relevancy and a good use at home, even if it works well in the restaurant. Cooper's has been a West Texas mainstay since 1953 when George Cooper opened up shop in Mason. In 1962, George's son expanded the business to Llano, the more recognized home of Cooper's today. That barbecue restaurant changed hands twice since then, once 1979 after the passing of George Cooper, then again in 1986 to current owner Terry Wootan, who had previously worked at Cooper's during high school. Terry continued the traditions of Cooper's, keeping it a family business where meats are cooked on direct fire pits, served on butcher paper, and consumed at communal tables. 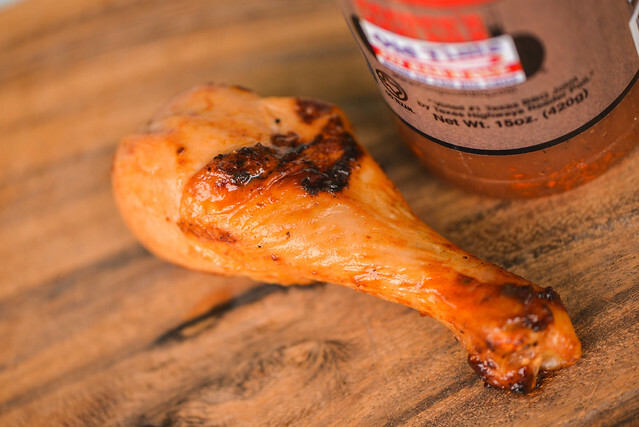 The Wootan family has since expanded Cooper's to three additional locations in Hill Country and sell their meats, sauce, and seasoning online. By smell, this sauce most closely resembles a Central North Carolina vinegar dip. The aroma is simple—mainly vinegar with a very mild tomato and touch of heat. 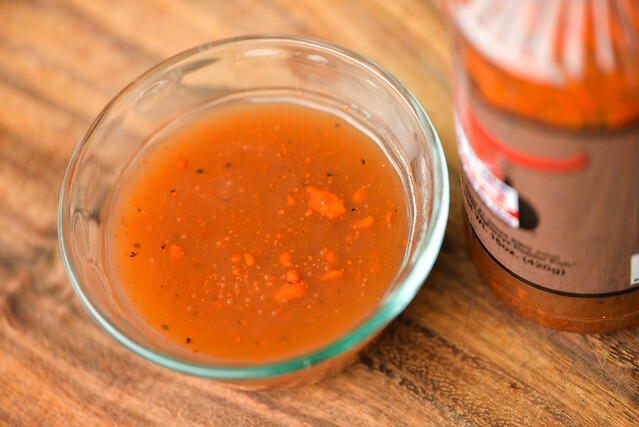 Compared to a North Carolina sauce, the vinegar here is much more subdued, which lets the tomato and pepper come more to the forefront. Appearance keeps up the NC comparison with the sauce having a super thin consistency. It has a rusty orange hue that's transparent, allowing all the spec of black pepper to be easily season. Along with the pepper are floating islands of chunky orange blobs, seemingly bits of ketchup not incorporated fully into the sauce. From a suspended spoon, the sauce falls quickly and completely, leaving no sauce left clinging to the silverware. As the aroma and appearance clearer laid out, this sauce tasted primarily of vinegar, albeit a very watered down vinegar. The vinegar tang mixed with the spices to give a overall flavor of a very mild hot sauce with a bit of tomato in the background. 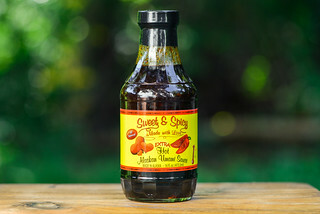 Even though the label clearly stated the tomato comes from ketchup, the distinctive sweetness of that sauce was no where to be found—the vinegar overpowered the sugar, resulting in a unsweetened tomato flavor. After the first couple brushings of the sauce, it didn't look like it was building up on the chicken at all. Eventually a very light, pale yellow coating was created which didn't caramelize over indirect or direct heat. Although there was little to no sweetness to speak of out of the jar, the sauce did give the chicken a very light sugary taste after being cooked. The defining vinegar was dialed back even more, and the slight kick of heat out of the jar was diminished completely. The flavor from the sauce was minimal, leaving the chicken to taste like chicken more than anything else. Cooper's is still on my list of places to hit in Texas, so I can't speak from experience on how this sauces plays in the restaurant. 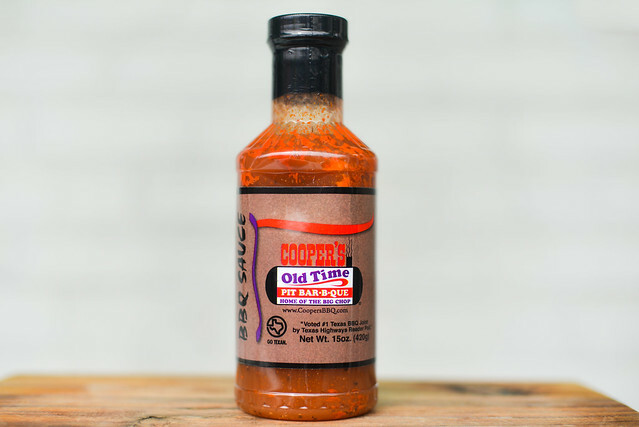 After tasting the sauce at home though, I'm left with the perception that the meats at Cooper's need no sauce, and for those who take it, it merely lends a mild tang that's a great pairing for smoked pork—adding a compliment to the meat that doesn't overpower it like a regular barbecue sauce can. At home, I can't say this is a sauce you'd need to pick up. It tastes like a watered down vinegar sauce that just isn't as a good as most vinegar sauces I've tried—I think if you wanted a sauce akin to Cooper's, you'd be better off adding water to a more flavorful vinegar sauce. The bottle states if you want a thicker sauce, you can just add more ketchup, but again, there are so many other great tomato-based sauces out there that this extra step seems pointless for what will ultimately be a second-rate sauce. I do think this sauce has its time and place, but ultimately that's in the restaurant and not in the backyard.